In large bowl, mix cookie mix, dry pudding mix, softened butter, water and egg with spoon until soft dough forms. Stir in butterscotch chips. Drop dough by rounded tablespoonfuls about 2 inches apart onto ungreased cookie sheets. Bake 8 to 11 minutes or until edges are set. Immediately sprinkle each cookie with sea salt. Cool 2 minutes; remove from cookie sheets to cooling racks. Cool completely, about 20 minutes. 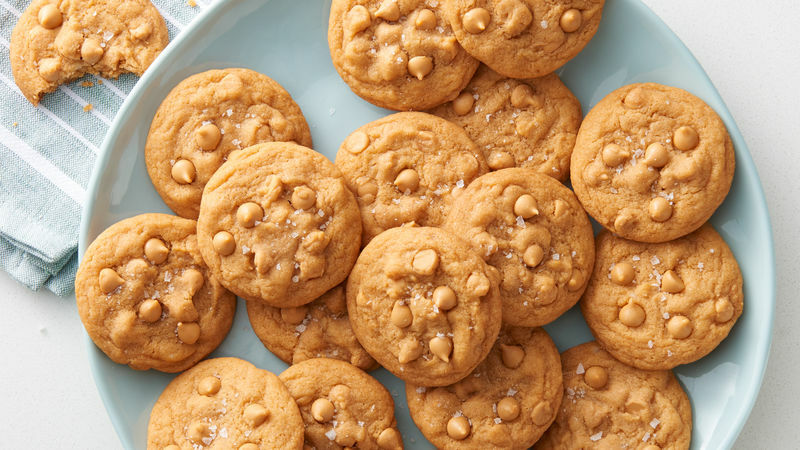 For success in this recipe, pudding mix is added dry to the sugar cookie mix.